Looking for a newer stick-built home w/ acreage? 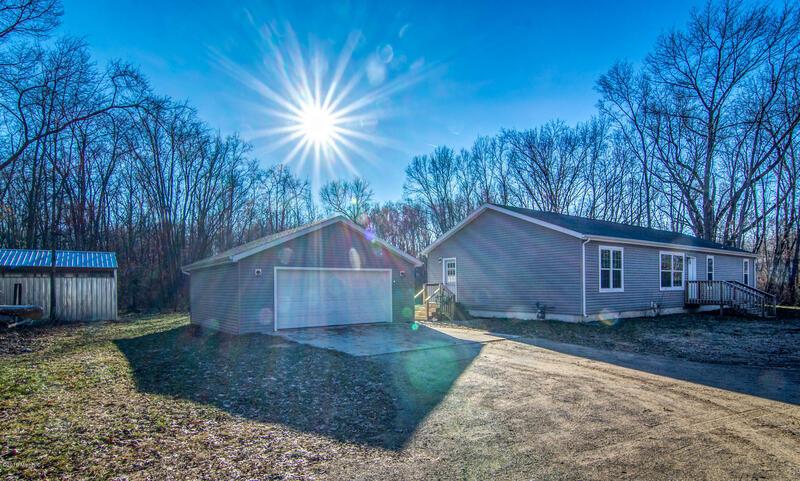 This 2016 home w/ 1, 728 sq ft., 4 BR, 2 BA on 11.56 acres located close to IN/MI state line may be it! Private setting w/ 66' wide easement. Two car detached garage. Open concept, main floor laundry, all appliances, center kitchen island, wood burning fireplace, rear deck, out building for animals are just a few features this property offers. Neutral colors. Full unfinished basement is insulated and ready to be finished to your specifications..Possible 5th BR in basement w/ egress window. Brandywine Schools. Seller is motivated and is offering immediate possession. Most of the property is wooded. Secluded, but close to shopping and entertainment. Call Debbie Floor at 269-362-2599 to schedule you private tour of this property.